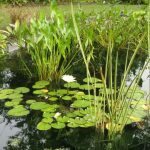 One of the best ways that I’ve found to get inspiration for my wildlife garden is to go and visit other wildlife gardens. First, you get to meet other wildlife gardeners who are just as passionate about creating welcoming habitat for wildlife in their gardens as you are. These gardeners are eager to share their successes (and their failures). It’s a wonderful way to make new friends who share their excitement. And I have made many life-long friends this way. Wildlife gardeners are such a fun group. 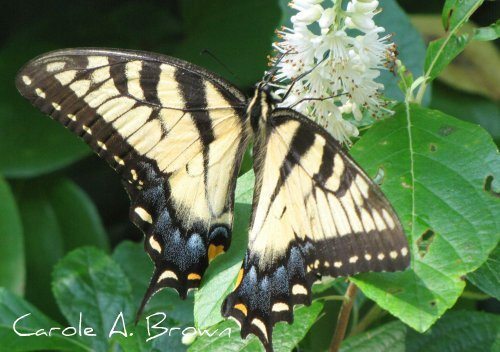 Visit their garden and they’ll eagerly show you every butterfly chrysalis, every bird’s nest, and every plant that a butterfly has laid its eggs on. And their enthusiasm is infectious! Second, you’ll get lots of ideas that you can try in your own garden. 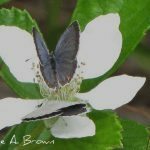 When you see a particular plant that is just covered with butterflies, and another that has loads of caterpillars, and another that the birds just can’t keep away from, then you’ll want to add these to your own wildlife garden. 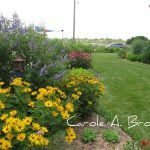 Every year I make room in my calendar to attend the wildlife garden tour series led by my friend and mentor, Pat Sutton who has been leading tours of private wildlife gardens in Cape May County, NJ for many years. 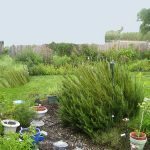 Pat has been teaching workshops about creating wildlife habitat in your garden in the Cape May area for a long time, and this is evident when you attend her series of wildlife garden tours. 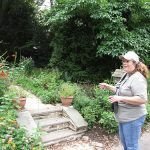 Most of the gardens on the tours are owned by people who have taken Pat’s workshops and put the ideas into action. They were so excited about what they had learned that they went home and started creating wildlife habitat in their gardens right away. 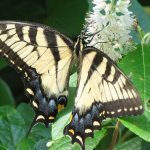 Pat’s series of wildlife garden tours takes place over three days, and each three day block is repeated three times, in July, August, and September. Each day is devoted to a different section of Cape May County. 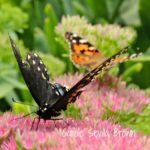 It’s really fun to attend all three sets of tours so that you can see the changes in each garden over time, and as the focus shifts from butterflies, to hummingbirds, to Monarch migration.